A Stroll Through The Office: Andrea Bushrow's Meet and Greet! A Stroll Through The Office: Andrea Bushrow’s Meet and Greet! First and foremost, a sincere thank you to all the individuals who attended the event for Andrea Bushrow! We are thrilled at the turn out and can’t wait for Andrea to showcase her talent on our beautiful clients! Andrea Bushrow is a Licensed Aesthetician and Laser Technician here at The Spa. She attended the Skin Institute in St. Louis, and the National Laser Institute in Scottsdale, Arizona. To introduce her to the clients and community, a meet-and-greet style event was held in the office. It was full of photos, demos, specials, and giveaways. If you weren’t able to make it to Bushrow’s event this past week, here’s a walk through the office on that exciting evening. The first stop was, of course, selfies! The guests were entered to win a free product pack from SkinCeuticals if they tagged The Spa at MidAmerica in a social media post with their photo from the event! Everyone loved this fun giveaway, and who doesn’t love a good selfie? The first room was a SkinCeuticals extravaganza! Bridget, representative at SkinCeuticals, gave a demonstration of their line’s best selling products. The brand is a significant aspect of The Spa at MidAmerica. Many clients have found the brand works wonders for their skin, and we believe in their products fully. Their mission is to improve skin health by providing advanced skincare backed by science. Their anti aging treatment, Triple Lipid Restore 2:4:2, was featured in Allure for Breakthrough Product of the Year in 2016. This inclusive brand covers nearly all skin types and concerns. 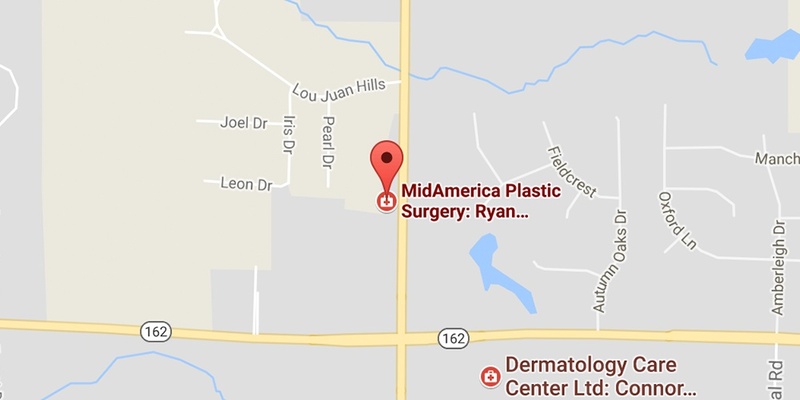 The Spa at MidAmerica carries many products from the line in our office located in Glen Carbon, IL! The next stop was with Andrea Bushrow, the reason for the event itself! We couldn’t be more excited to have her on our team of professionals. She welcomed guests to watch as she explained a HydraFacial, one of her favorite treatments. Bushrow was able to meet her future clients and showcase her amazing talent throughout the evening. If you haven’t gotten the chance to meet her, schedule a complimentary consultation today! The third stop of the night was all about injectables! Each injector at The Spa ran this station to educate guests on fillers and the chance to win a free syringe of filler. Guests were thrilled to learn about all the benefits of injections and the process our injectors take to ensure the best results for each individual. The celebration for Andrea was a huge success! We thank each person for coming to celebrate the new addition to our team. If you weren’t able to attend, make sure you like our Facebook page so you won’t miss out on any events in the future!